There is a new version of the firmware. 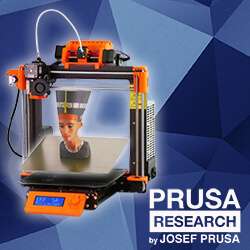 Official support forum for Prusa Research s.r.o. customers. I’ll try and test it on my MK3 at home tonight if I have time, if not then this weekend for sure. If all goes well, it might be worth upgrading and recalibrating the MK3 at the space as well. Did you run into any problems with the new firmware? I was just reading through the whole thread. Looks like some decent improvements. Did you do the whole linear advance calibration thingy? What’s that supposed to account for? I wasn’t sure what that is supposed to do / account for. I really did try to find time for it, but the printer has been sitting unused since that post. Linear advance is supposed to print faster while keeping the extrusion width appropriate. The calibration is just to find the right factor needed for the calculations to be done via firmware. I think it’s similar to the CNC acceleration, but allows the extruder to do the right thing.